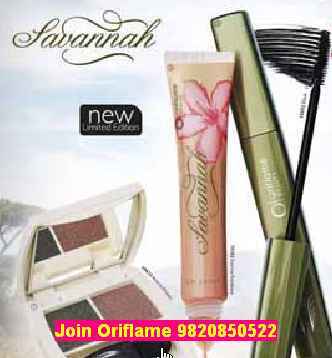 Find out not only how to join Oriflame India but also how to be successful. Those who are following my blog or my Facebook Page now that I am a Oriflame Director and I guide Oriflame Consultants all over India to be successful in Oriflame. Joining Oriflame is easy. For becoming an Oriflame consultant, you need to fill the Consultant application form. First of all you can give the following details: Full Name, Address, Mobile number, Email id, Date of birth, along with the first order above 2000. You can sms or Whatsapp the details on 09820850522 or email it on jashmiw@gmail.com or you can use the Oriflame online joining form. Once you send your details we will guide you can submit your Oriflame joining fees in the bank. Just call me for details of bank account. Once you submit your fees we will give you your Consultant No. Your password will be sent to your email id. Sometimes the password might go in your spam folder instead of your inbox so just check there if its not in inbox. You can then log in to your Oriflame account, see the Oriflame Online Catalogue and place your order online by clicking on Quick Links - VIP order. Please call me when you do it first time. You will receive your starter kit in 4-5 days time by courier. It will contain the latest Oriflame Catalogue, Consultant Manual, etc. As a Oriflame Consultant you will get the items at 20% profit than the MRP or the Offer Price mentioned on the catalogue. So 20% flat will be your profit whenever you sell any item. You get exciting welcome program gifts when you complete 100 points in your 1st, 2nd and 3rd month. The gifts are determined by Oriflame and will be informed to you as soon as you join Oriflame. Stay in touch with me, read my emails and chat with me if you have any questions. I will always guide you. If you want to become a Manager in Oriflame I can guide you how to do that too. It is a great opportunity and I am earning a lot by just by circulating catalogues to my friends, neighbors and even strangers. They order everyday items like shampoos, talcum powders, soaps, perfumes, nail polishes, body creams, body lotions, cleansers, moisturizers, etc. as well as gift items like perfumes. Oriflame has varied products and at affordable prices too. Secondly you can teach people how to join Oriflame as a consultant and build your team. You get additional income for recruiting, training, guiding, supporting and developing them. I will guide you on how to be successful in Oriflame just like many other people all over India. I have already placed some orders. However recently during placing order through VIP order I found that mine is blocked. Following message apeared "
Consultant 7012002 is blocked for ordering ( 'Consultant Blocked - CAF not submitted' )!" Under these circumstances could you kindly guide me and help me to unlock my profile.